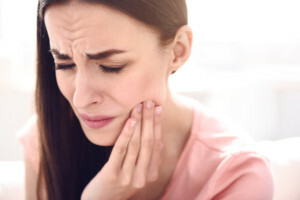 Degenerative joint disease: This happens as a result of the TMJ being misaligned for a long period of time, leading to arthritic changes taking place. Myofascial pain dysfunction syndrome: An Increase of tension in the muscles and as well as spasms can lead to TMJ issues. Internal derangement: This happens when a mechanical issue in the joint occurs – usually related to the articulating disc. If you are suffering with TMJ, it is imperative you locate the root cause. Many times it is linked to a misalignment in the upper bones of the neck. Within these bones, the spinal cord resides, and is responsible for sending signals between the brain and body. Protecting the function and health of the spinal cord is vital for the body to work properly. When a misalignment happens in this area of the spine, the rest of the body often tries to compensate, all the way down to the lower back and hips, and all the way up to the jaw. By using a precise and gentle method that was designed specifically to care for the top bone of the spine, upper cervical chiropractors have been able to help patients who are suffering from TMJ. The technique is unique with the goal of correcting the specific bone that is out of alignment. Once this is accomplished, the rest of the body no longer has to compensate for the misalignment and can return to its proper balance and function. Could this really work? A 35-year-old man who had TMJ pain along with issues opening his jaw received care from an upper cervical chiropractor. Afterwards, he was once again able to open his jaw and the muscle tenderness in his face went away as well. We pursue similar outcomes for our patients.